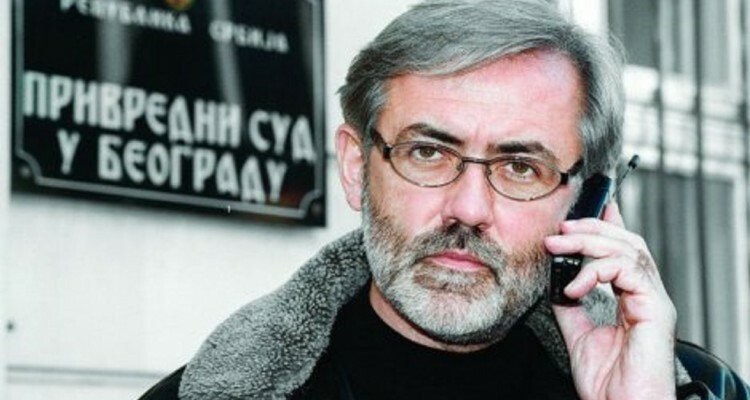 The High Court in Belgrade has convicted four former intelligence officers on long-term imprisonments for the murder of journalist Slavko Curuvija in 1999. Radomir Markovic, former director of what was known as State Security (DB) and Milan Radonjic, ex-head of Belgrade DB, have been convicted to 30 years imprisonment, while former agents Miroslav Kurak, who is on the run, and Ratko Romic each got 20 years. Despite the “100 years in prison” in the first instance verdict, many voices warn that it only partly did justice. At the same time, President Aleksandar Vucic hailed the decision. Branka Prpa, who was Curuvija’s partner, wandered “for how long will Rade Markovic alone be sentenced, and those who ordered him to do so remain free”. In the Curuvija case, Markovic was sentenced for inciting the murder, and the others as accomplices. Markovic already serves a 40-year sentence for the murder of former Serbian president Ivan Stambolic and other crimes, while Romic was acquitted alongside Radonjic in September 2017 of the attempted murder of opposition party leader Vuk Draskovic. “No real investigation” about who has ordered Curuvija’s assassination has taken place, Branka Prpa told Radio Free Europe. Aleksandar Vucic, who was information minister at the time, has not been interrogated by police, judges or prosecutors, she said. Independent Journalists Association of Serbia (NUNS) has expressed satisfaction with the sentence, but also dissatisfaction over the fact that the perpetrator and those who have ordered the murder have not been revealed. The Journalists Association of Serbia (UNS) has also demanded the perpetrator to be found.